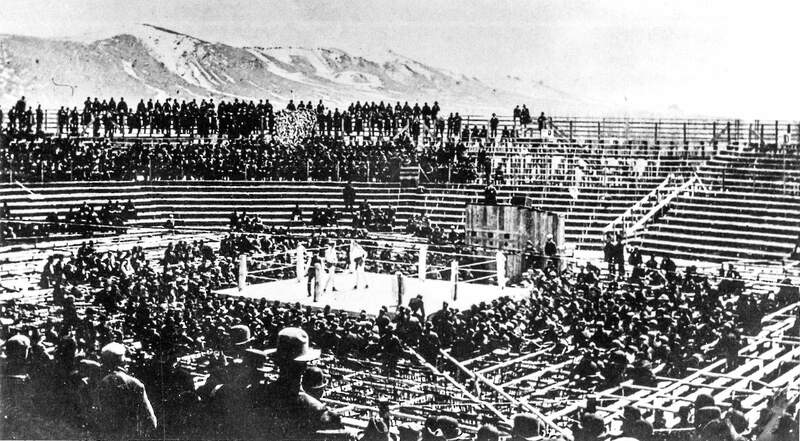 In 1897 Nevada's first world championship prize fight was held in Carson City. "Gentleman Jim" Corbett and Bob Fitzsimmons battled it out in this ring, which was built at the corner of Musser and Harbin streets. Spectators came from all over the country to watch the fight.